After waiting for 30 minutes in front of the Metropolitan Theater, a fellow PLM student approached and asked me, "kasali po ba kayo ng Ehipto?" "Ah, hindi eh, I'm here to watch it, kaya lang kanina pa ako dito mukhang wala naman palabas" I replied, "ngayon kasi naka-schedule yung nabili kong ticket, Jan. 30, 2011, 10:00 AM"
"Ay naku, hindi po ba kayo nasabihan, na-move na po yung show sa Feb. 13," he said. "Oh my, it's ok, I'll just have a little photo walk in Intramuros," I said to myself. It was around 10:30 AM when I left the neglected theater in Lawton. 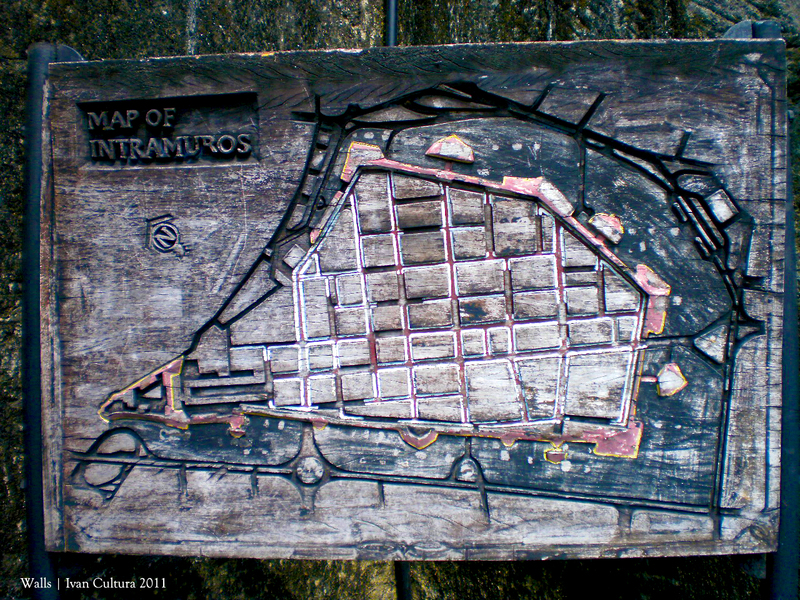 I was expecting a theatrical Sunday but it turned out to be another Intramuros walk tour. 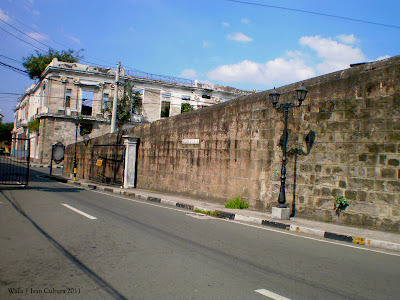 The sun was already striking with great hotness but I still went on to my adventure on the walls of Intramuros. 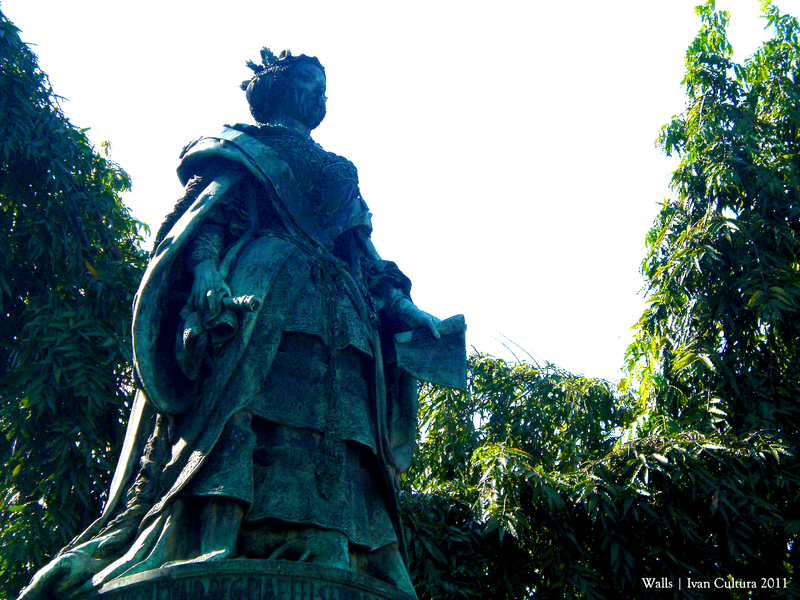 On my way to the walls, while taking picture of the Queen Isabela monument, an old beggar woman came before me and said that I might be interested on the "imahen ng mga santo" right over there (pointing towards Roxas Boulevard). 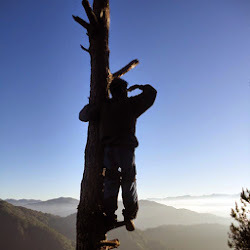 I continued my walk to the "Aduana", ignoring the info the woman just told me. I never realized that she was referring to the Santo Niño Parade in Roxas Boulevard until I got home. Geez, I just missed that event. 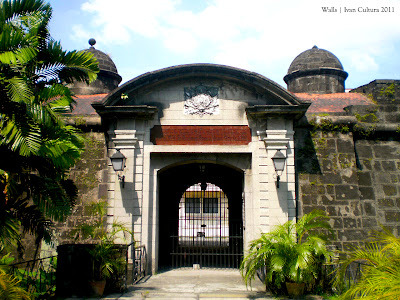 The Aduana, or the Customs House is a ruin at the north end of the Intramuros walls. 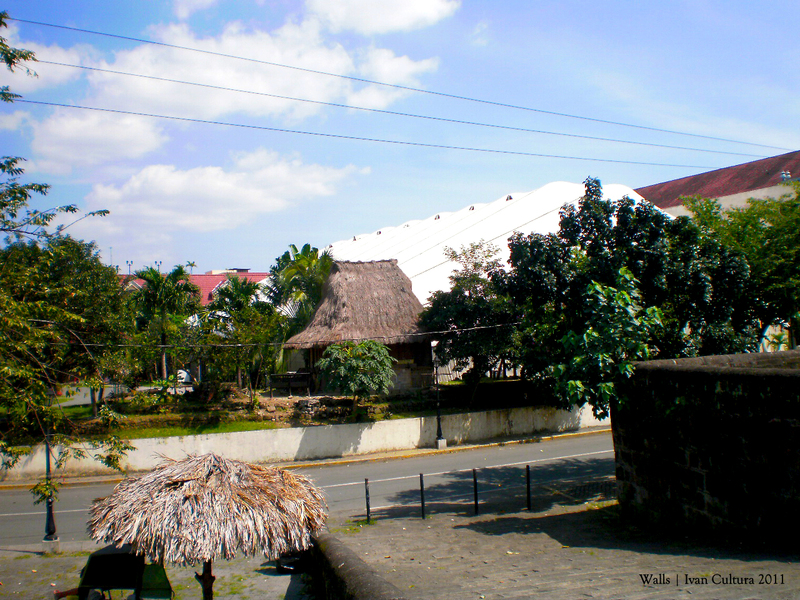 Located at the front of Starbucks coffee house at the Magallanes Drive, this old ruins was built in 1829. It was destroyed by an earthquake in 1863. A new building was built in 1879 for the offices of the Customs, Intendencia General de Hacienda (Central Administration), Treasury and the Casa Moneda (Mint). 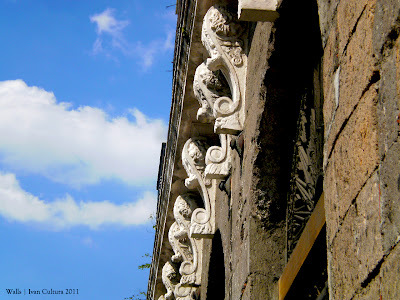 It was again destroyed during the Liberation of Manila in 1945. 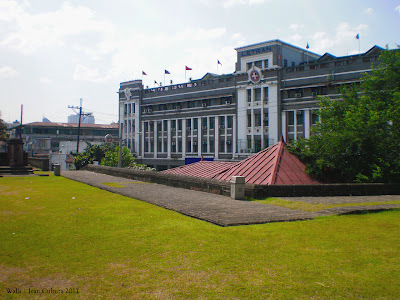 It then became the office of the Central Bank of the Philippines, the National Treasure and the Commission on Elections. 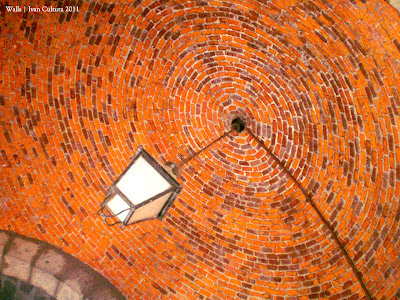 For the last time, it was destroyed by a fire in 1979. It is said that this is future site of the National Archives (currently located at T.M. Kalaw Street). The street of Muralla runs along the eastern part of the walls. If you'll follow the length of this street from the Magallanes Drive, the first structure on the walls is the Puerta Isabela II, named after Queen Isabella II of Spain . 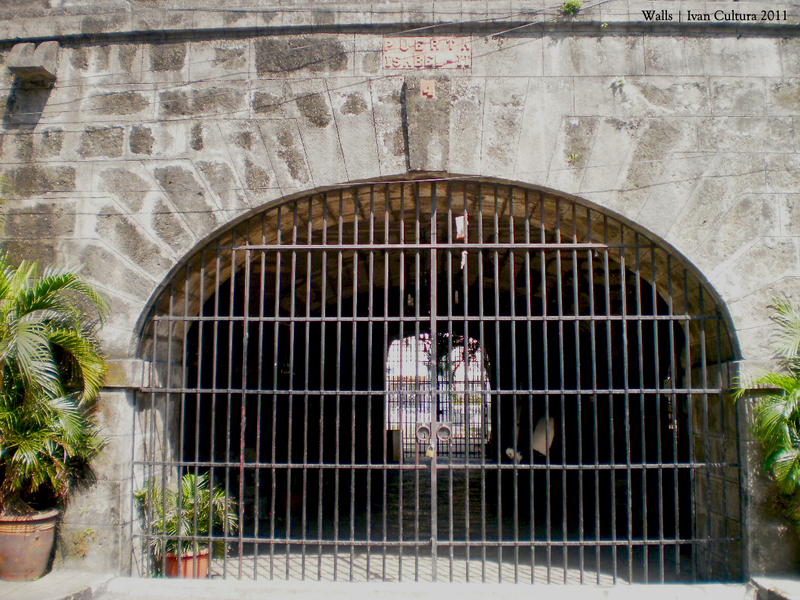 No one is really using this gate now, but during the American period, it was part of the Tranvia (street car) route. Outside is the statue of Queen Isabella II where I came from. 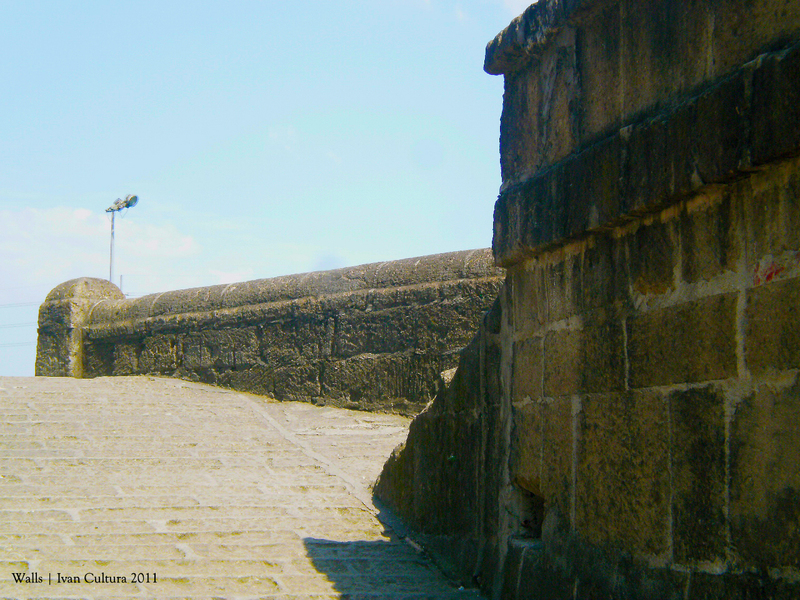 I then climb up the stairs to Baluarte de San Gabriel, Intamuros' most important defense in the north. From this spot, you'll see Colegio de San Juan de Letran, one of the two original schools remaining in Intramuros today (I believe the other one is Colegio de Santa Rosa.). This college was mentioned in Rizal's El Filibusterismo, having its students in Filipino attire with less interest in bringing books. 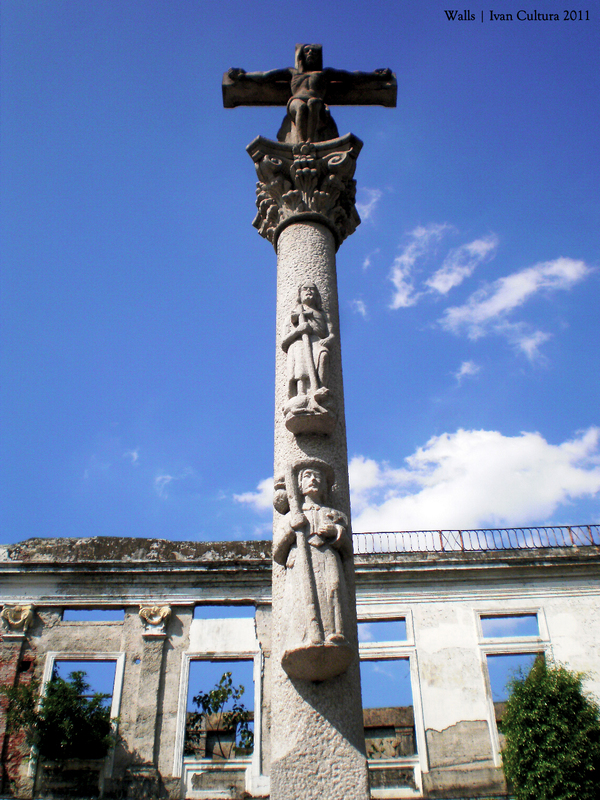 My next stop was the Parian Gate and its ravelin. This gate is is fully functional, named after the Chinese community across the city, Parian de Arroceros. A triangular ravelin (built in 1603 following the Chinese uprising) heavily defends the gate, cannons are found along the ravelin. The Baluarte de Dilao is the next defensive structure on the walls. 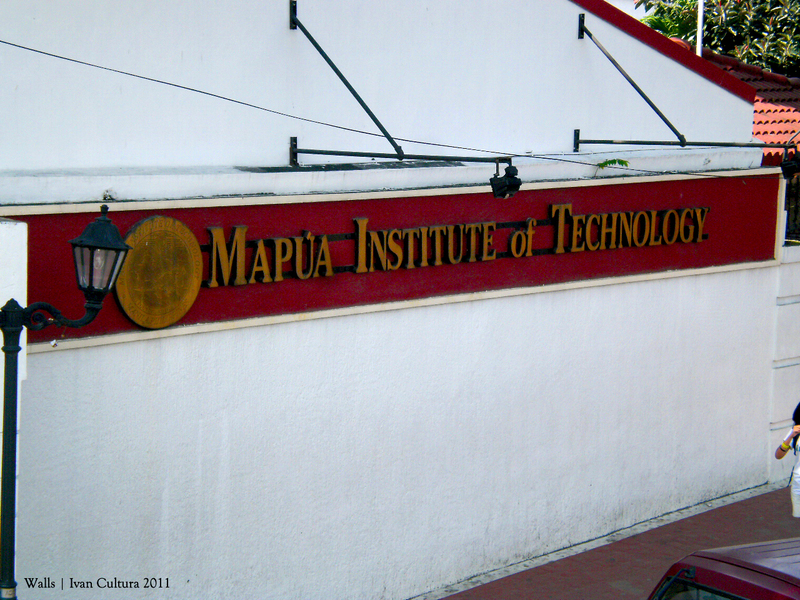 The Lyceum of the Philippines University and the Mapua Institute of Technology are seen from this part of the wall. 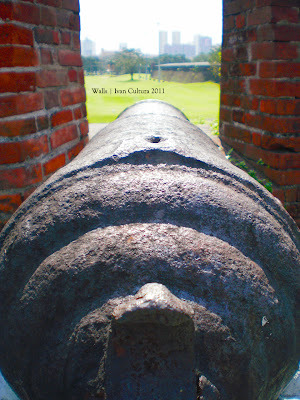 Heavy cannons are also found here. It was 11:30 AM and the sun is already painful to skin. I can feel the sun was burning me, but just I can't stop now. From Baluarte de Dilao, I walked my way to Baluarte de San Andres, the part of the wall in front of the Manila Bulletin and the Department of Labor and Employment. While walking near the cannons, I heard a golf ball fell somewhere near. 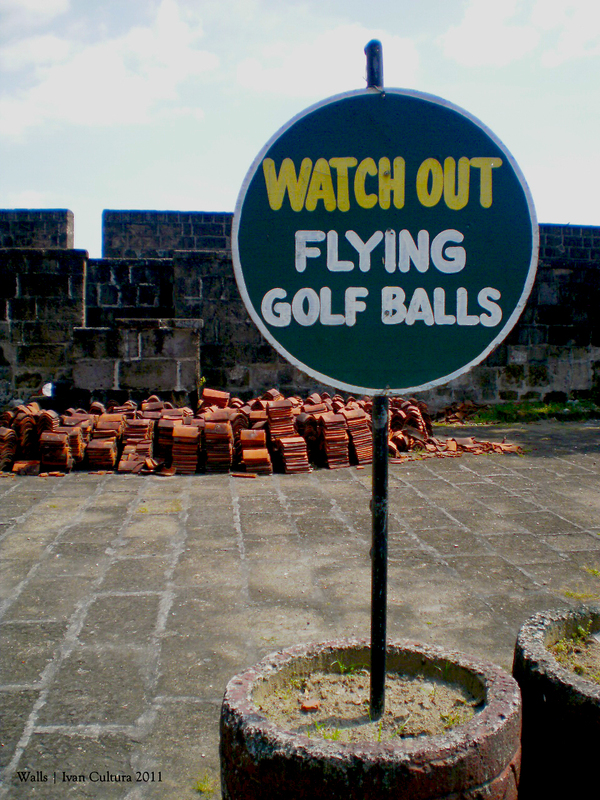 There is a sign post which reads: "Watch Out For Flying Golf Balls." And this is a dead end, there's a "no entry" sign from this part of the wall to Baluarte de San Diego. 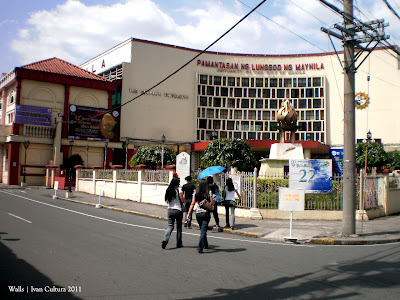 I went down the ramp to Gen. Luna street and reached the front of my beloved Pamantasan. I bought a drink from a sidewalk vendor on my way to the Revellin de Real de Bagumbayan. I rested beside the vendor for about 10 minutes, watching the passing PLM ROTC and CWTS. The Revellin de Real de Bagumbayan is popularly known to PLMayers and other people in Intramuros as the Aquario. It was built to defend the Puerta Real, the third gate from Puerta Isabela II. 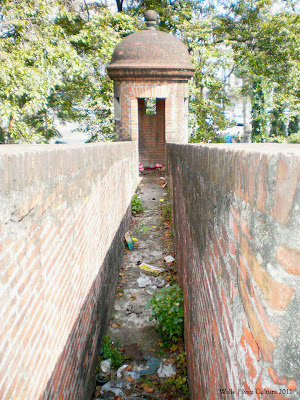 This gate was exclusively used by the governors-general, but not in use today. Puerta Real Garden is also found here, where special events take place. 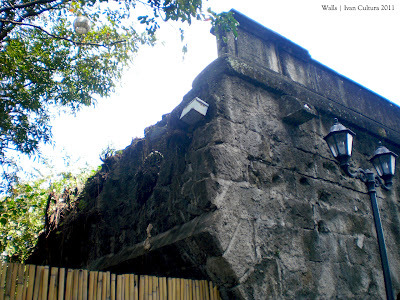 The next structure on the wall is the Baluarte de San Diego, the largest defense line on the wall after Fort Santiago. The entrance here is not for free though, 80 pesos for adults, 50 pesos for students. It was, however, closed to visitors when I arrived. 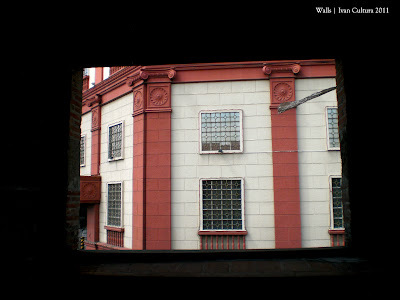 Just beside the Light and Sound Museum, I climb up the stairs to Baluartillo de San Jose. 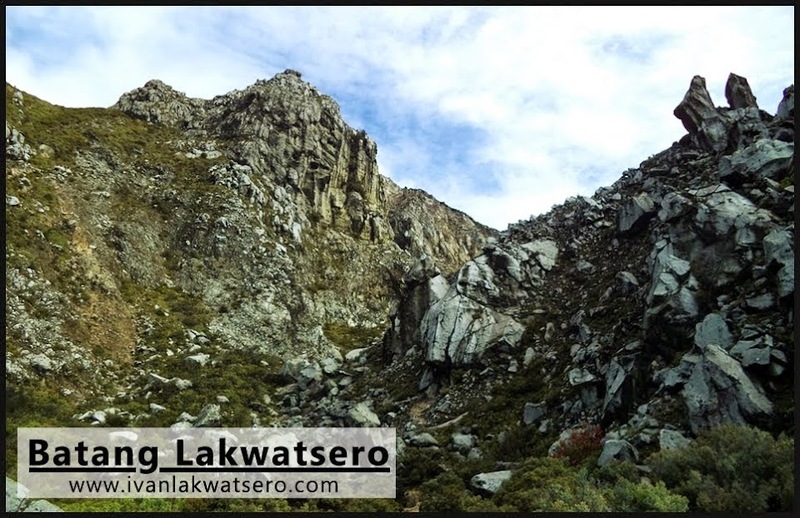 Sitting bronze statues of President Manuel Quezon and General Douglas MacArthur are found here. 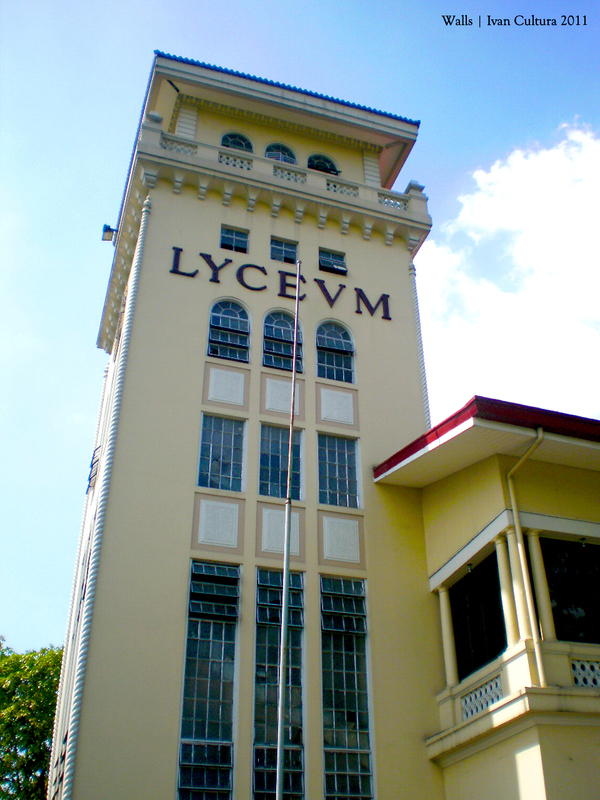 This structure served as the headquarters of Gen. MacArthur in 1941, then known as "No.1 Victoria St."
Another structure called Reducto de San Pedro is built outside the walls which is not accessible by the public. I reached another gate, Puerta de Sta. Lucia. I used this gate several times when it was still open for public use, but now it's closed like the other two previous gates. If you're standing on the walls along the Sta. 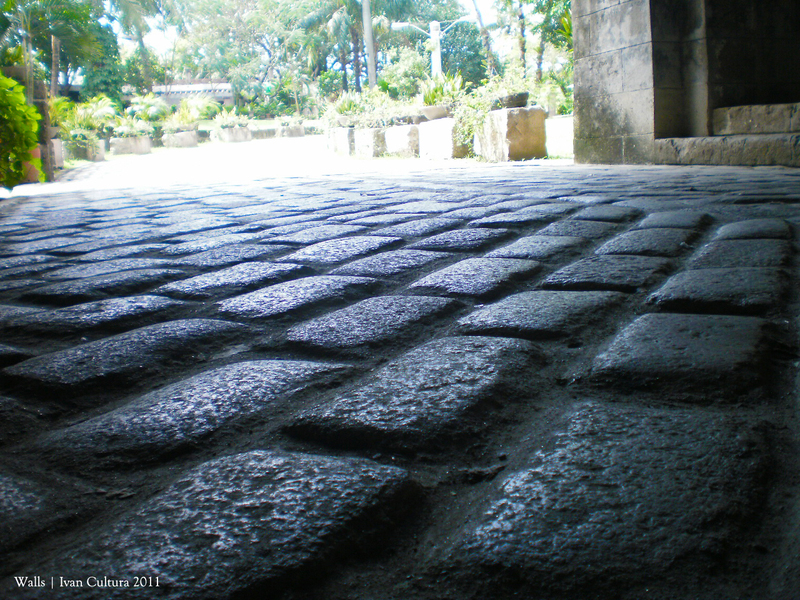 Lucia street facing west, you'll see nothing on your right but the ruins of San Ignacio Church, the San Agustin Church and the Clamshell (former site of Ateneo Municipal de Manila). The last gate is the Postigo del Palacio. This was the gate where Rizal passed through from Fort Santiago to his execution site at Bagumbayan. This spot is the dead end, if you'll walk several meters further, an iron fence with a sign post which reads: "NO ENTRY, Bawal Pumasok, Golf Course Area," will block your way. So I went down the walls, saw ballot boxes piled up beside a building. 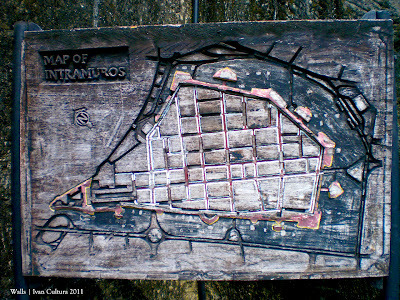 I walked towards the Plaza de Roma in front of Manila Cathedral, thinking whether I will enter Fort Santiago. The time was 12:40 PM, and I have not eaten lunch yet, I just can't beat my noisy stomach. So I decided to just go home. Thanks for the tour! 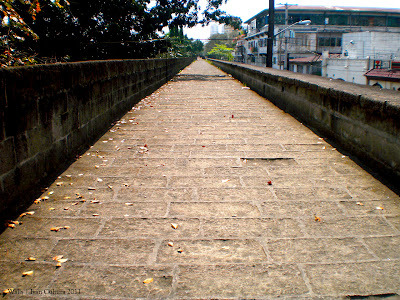 :) Sun, thirst, and hunger were also the reasons why we stopped strolling around the Walled City.